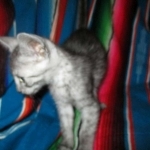 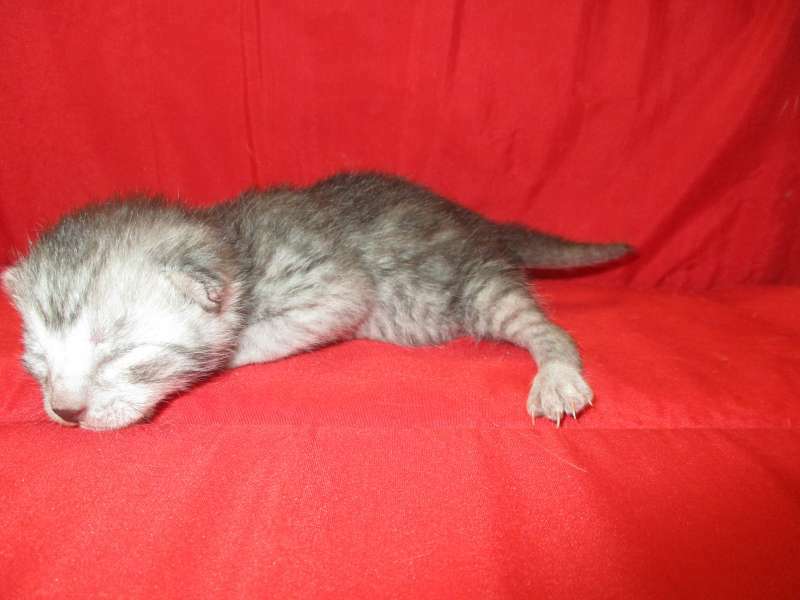 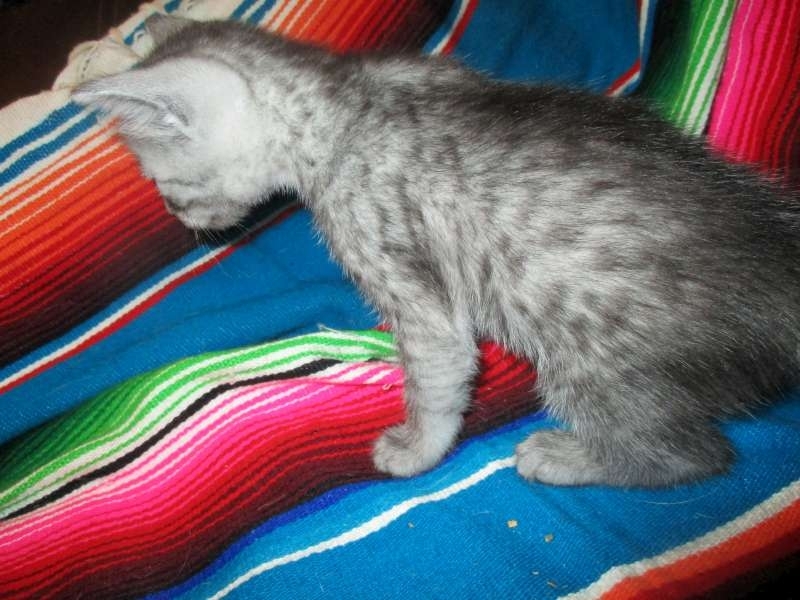 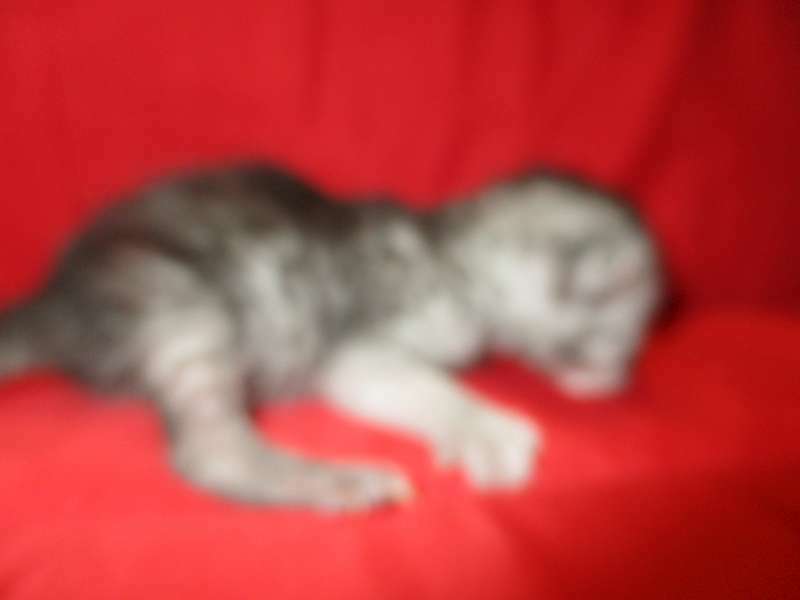 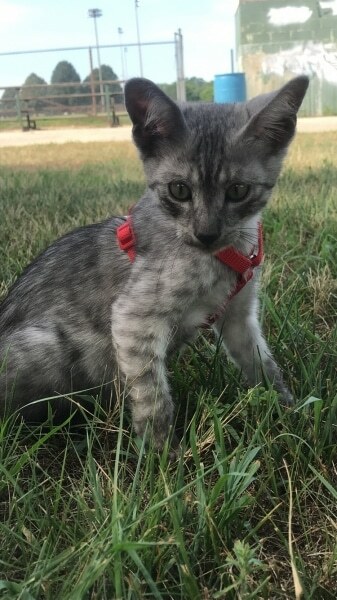 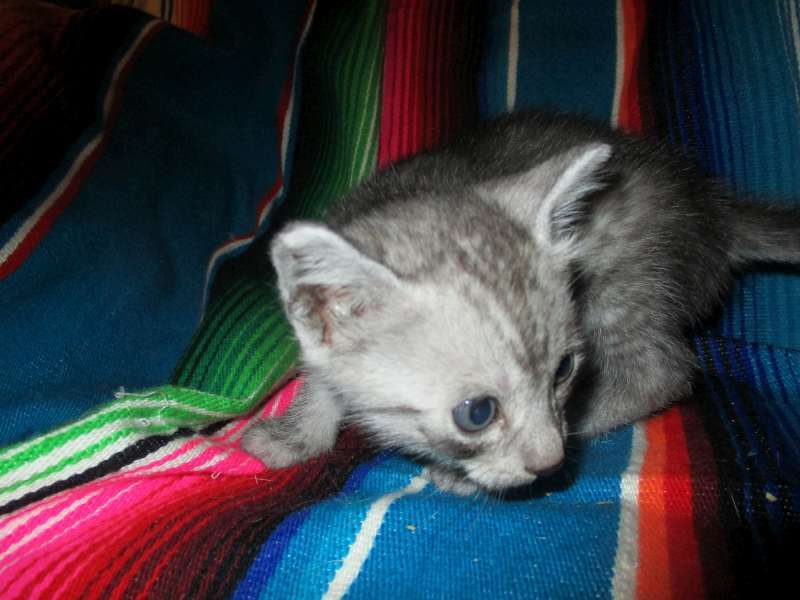 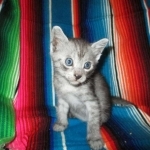 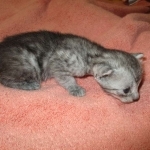 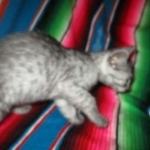 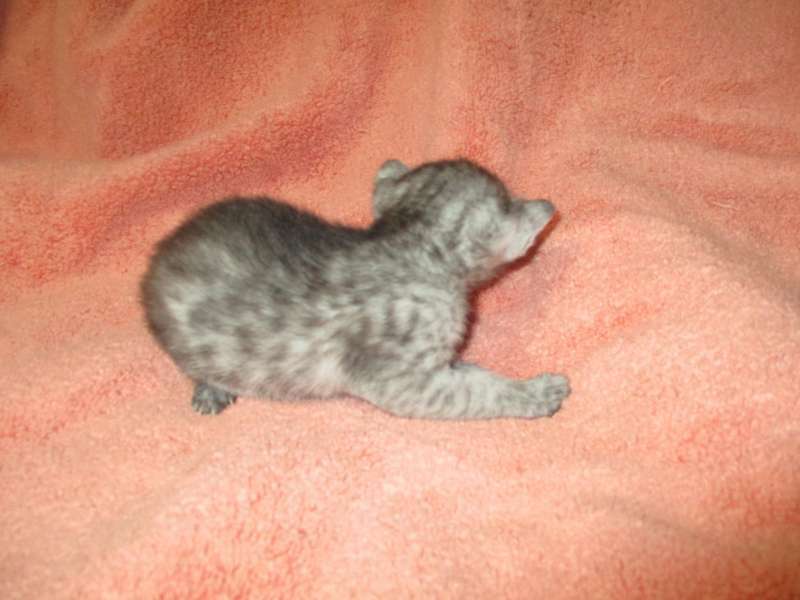 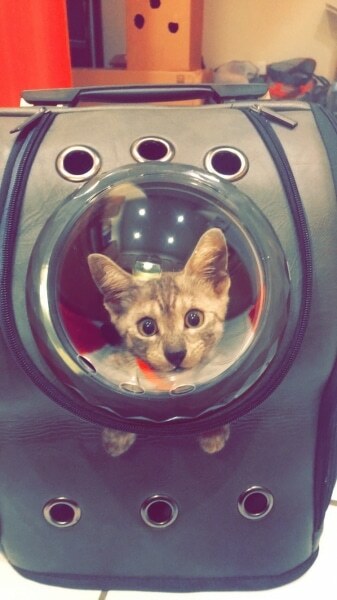 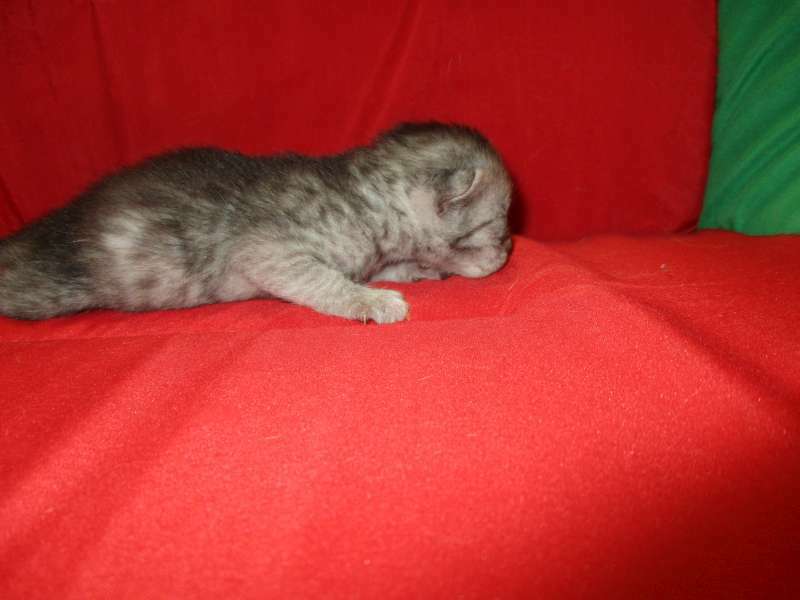 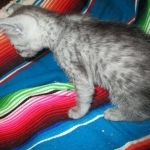 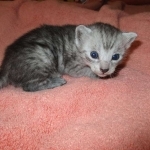 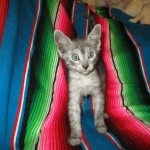 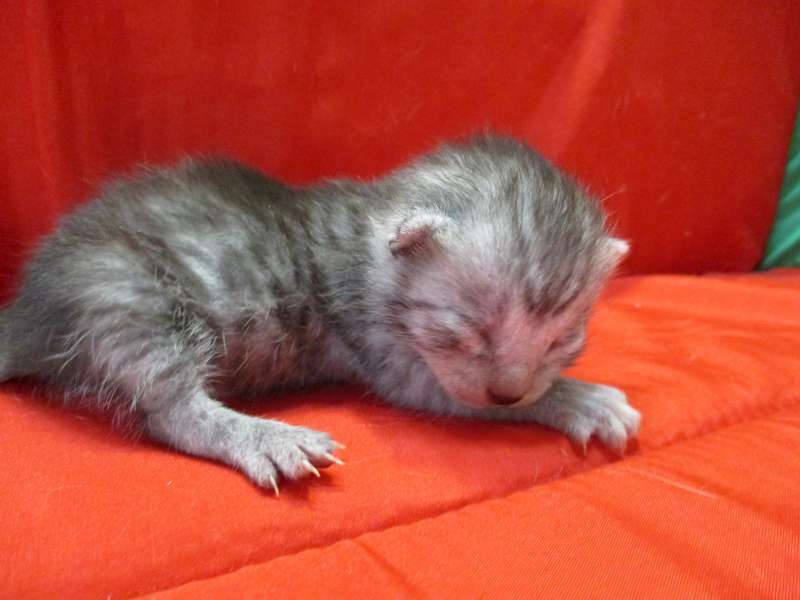 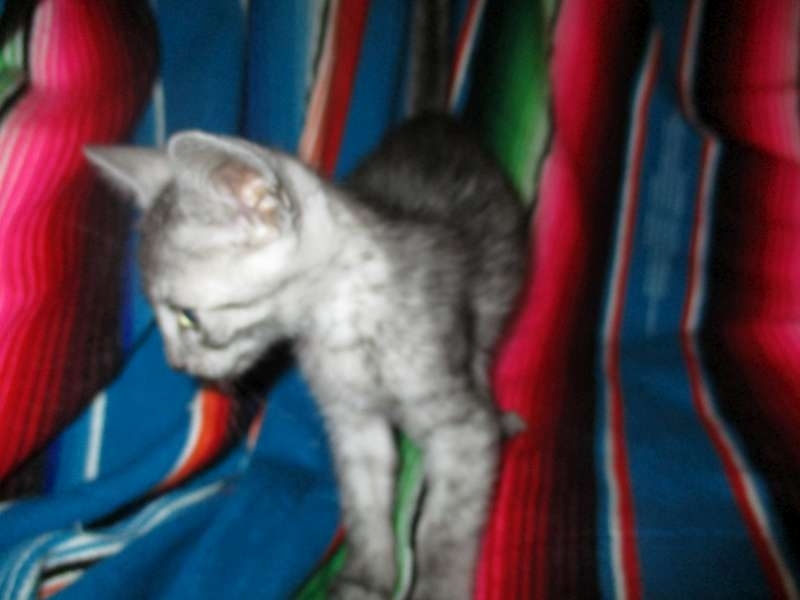 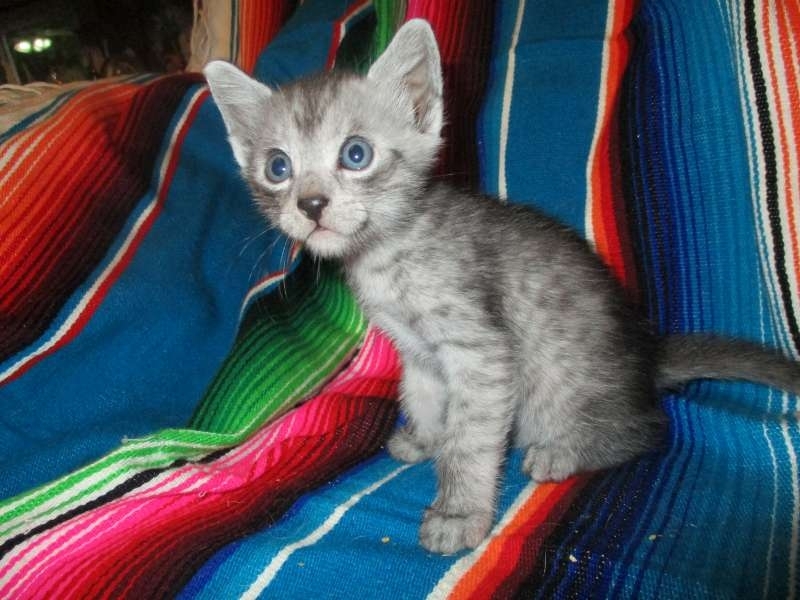 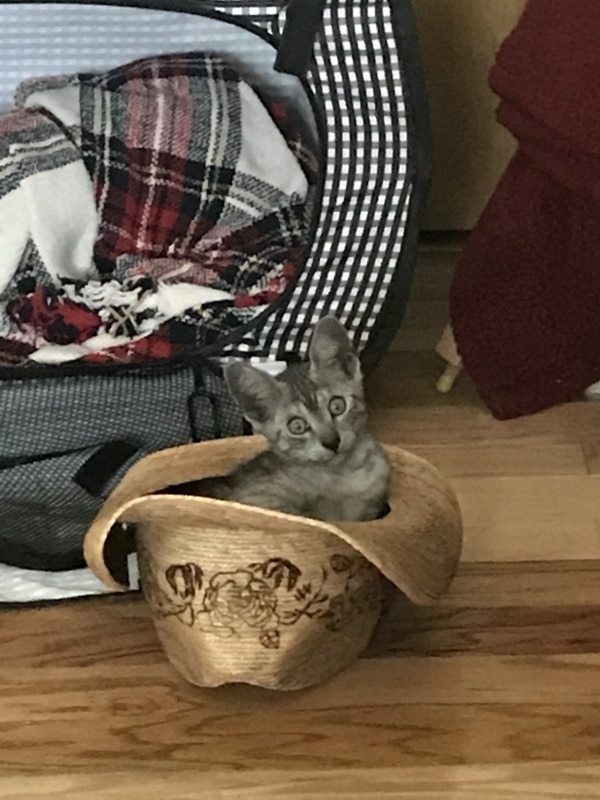 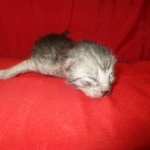 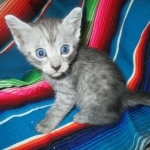 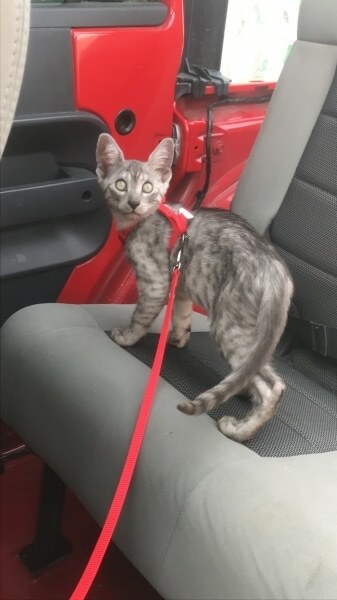 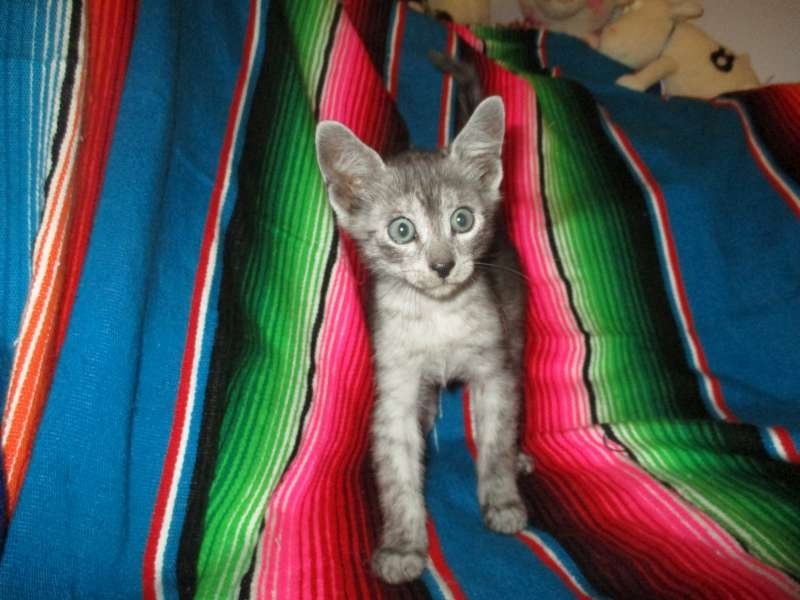 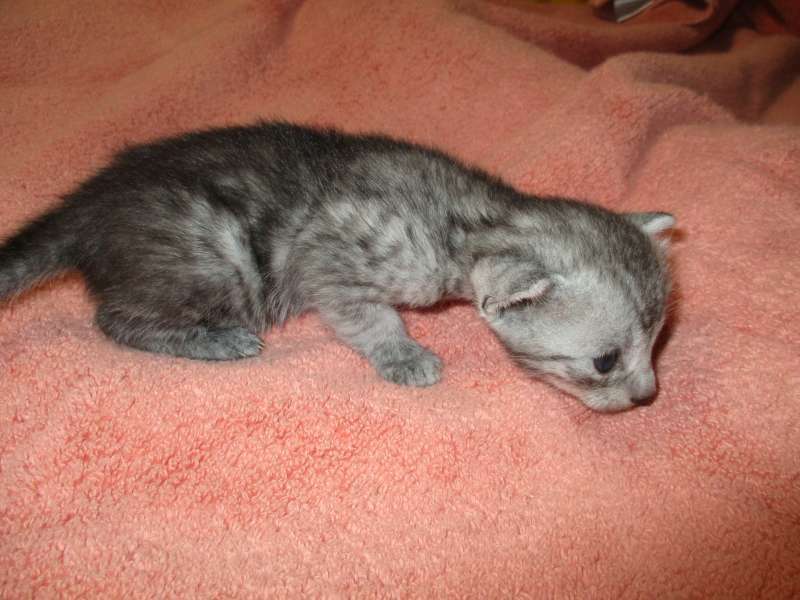 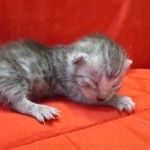 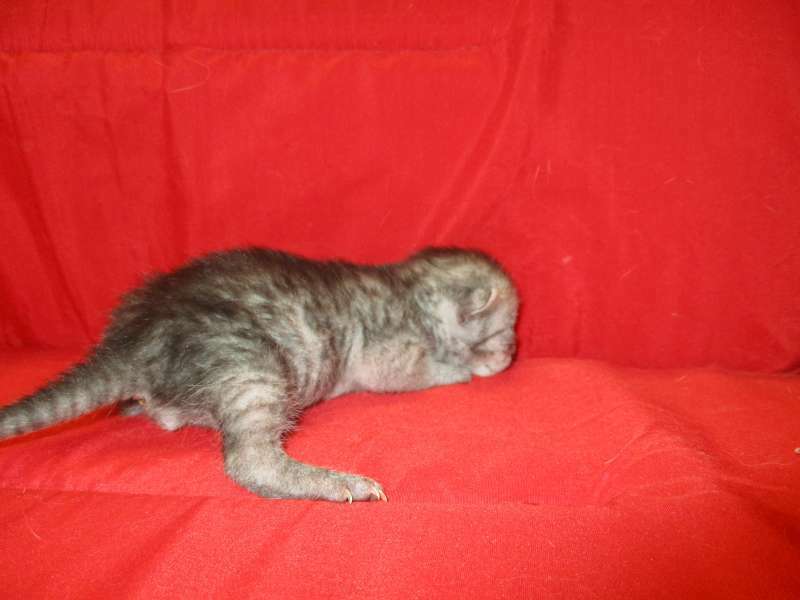 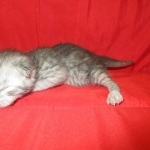 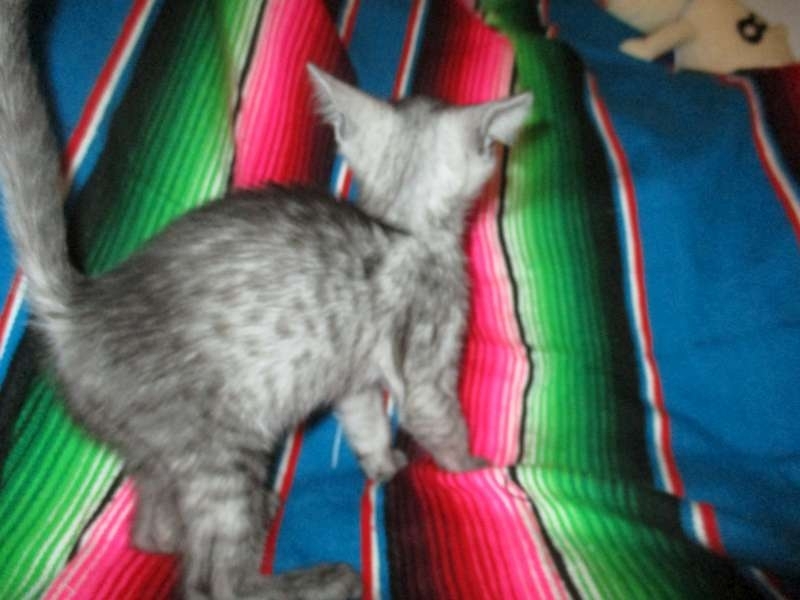 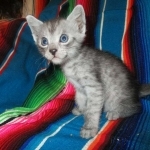 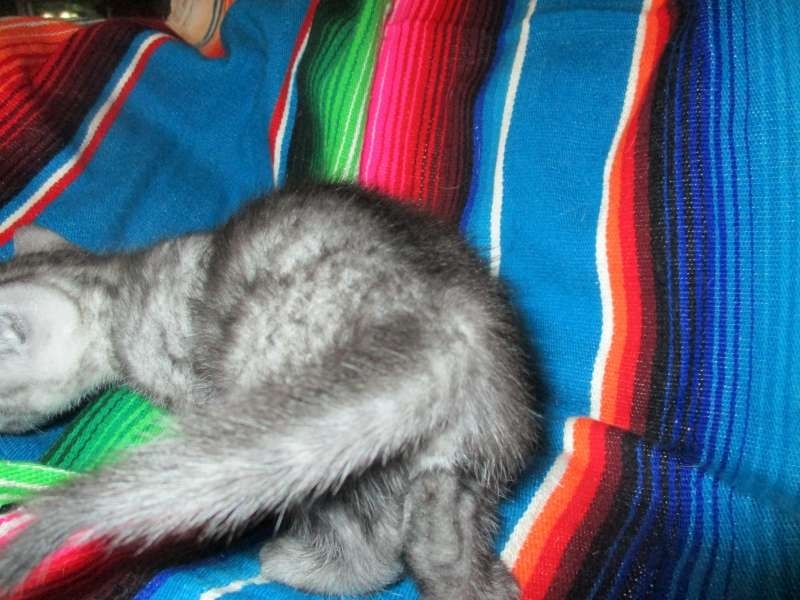 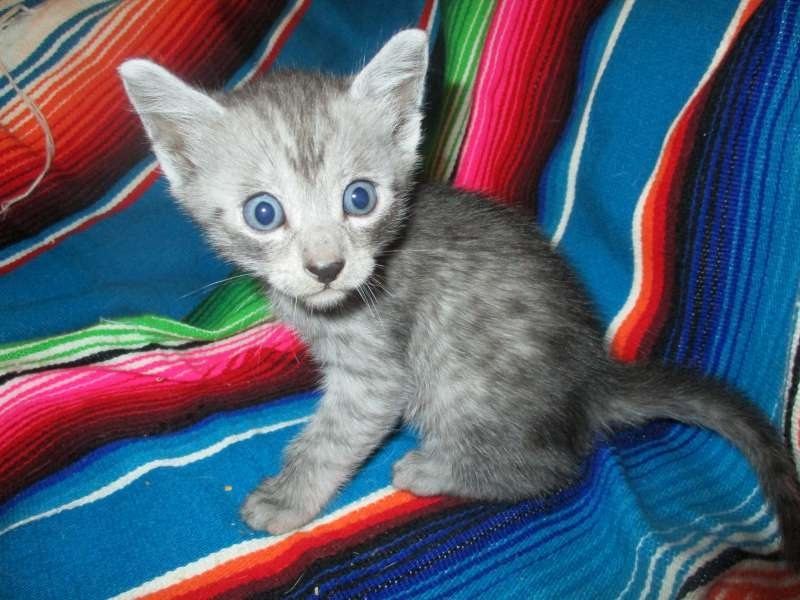 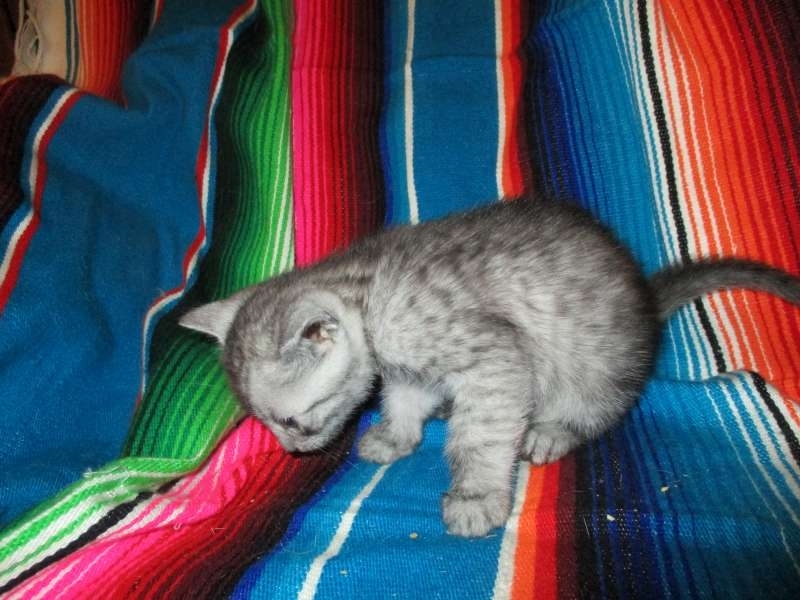 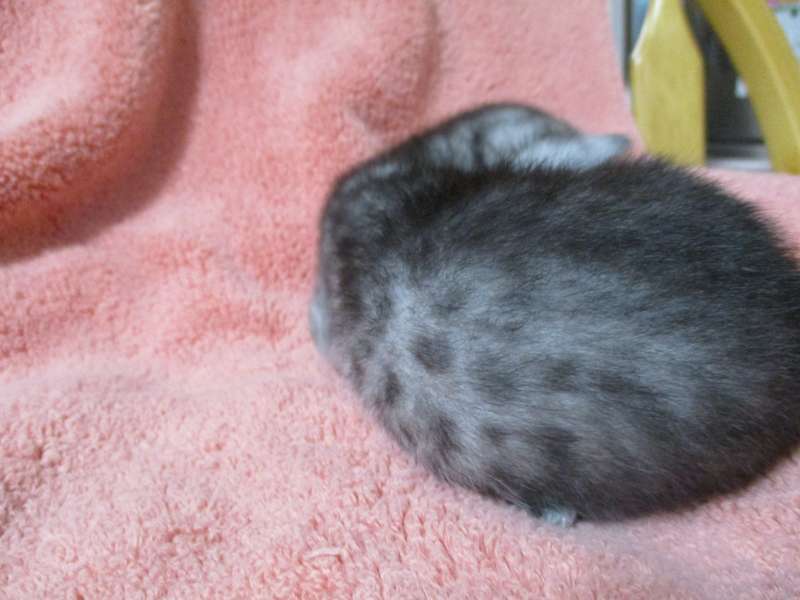 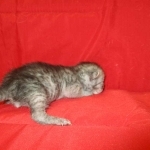 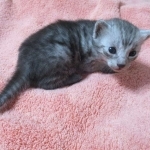 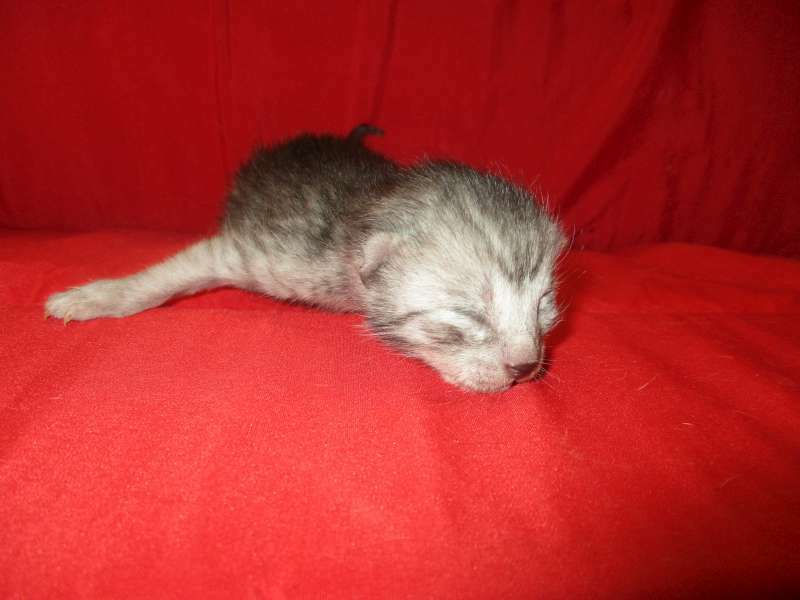 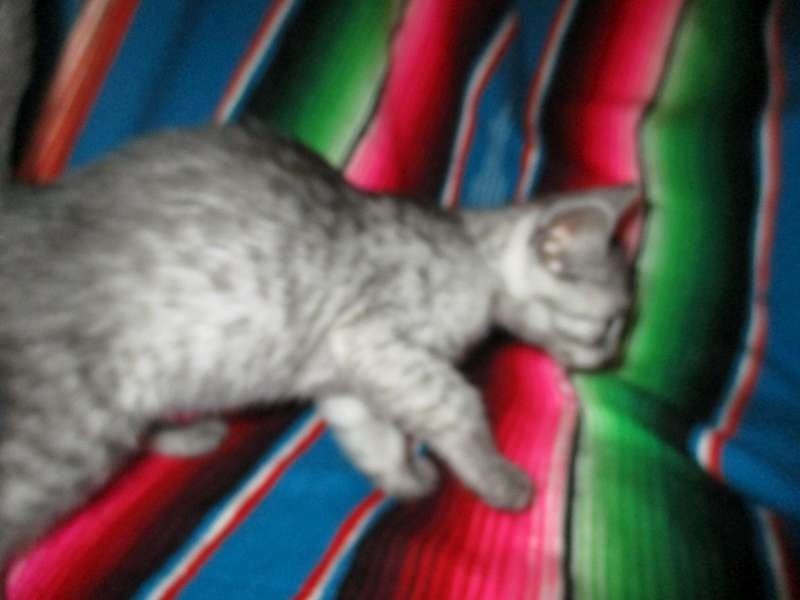 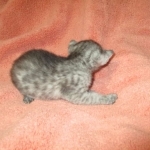 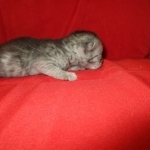 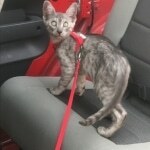 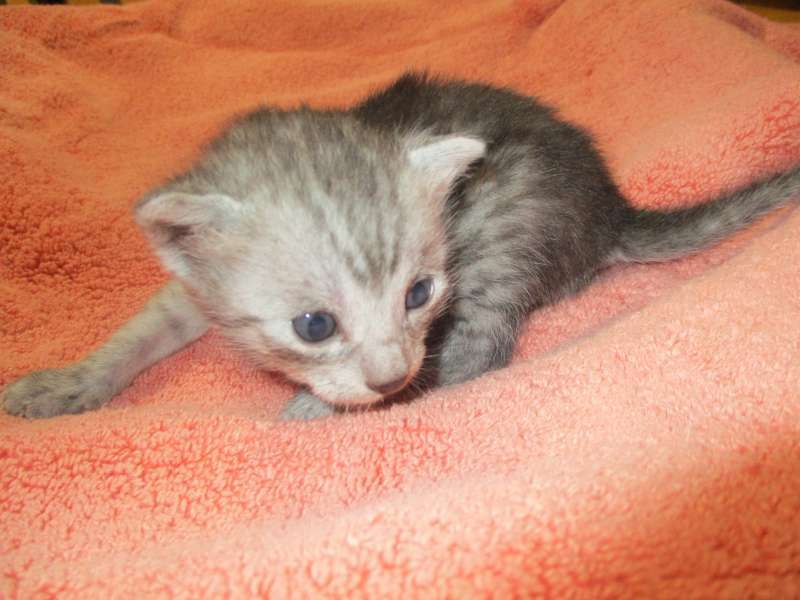 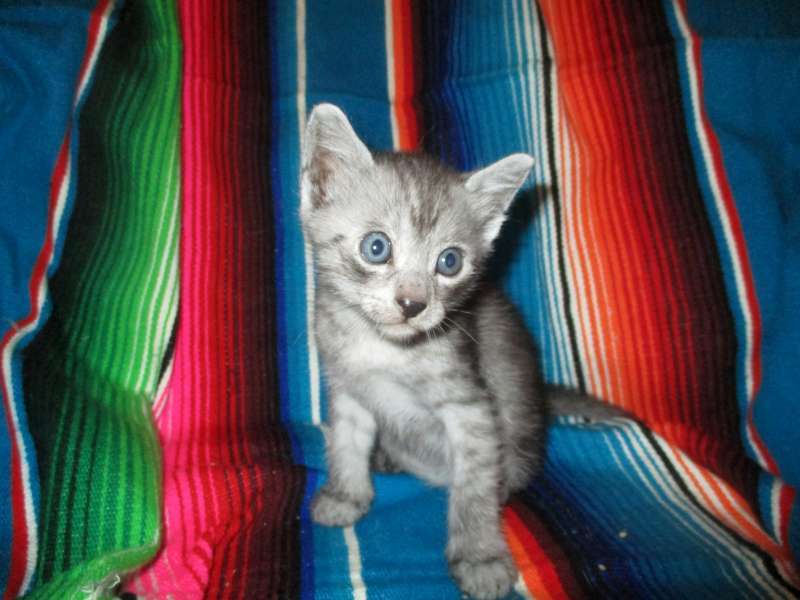 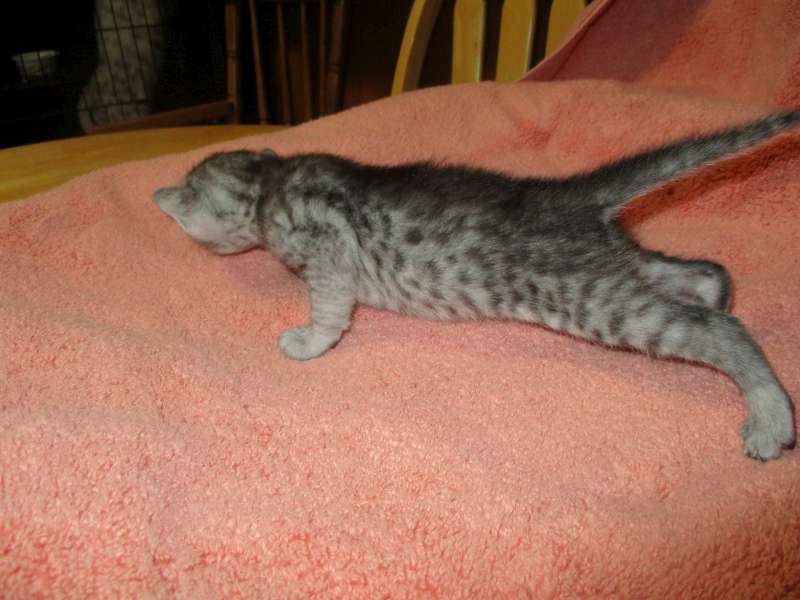 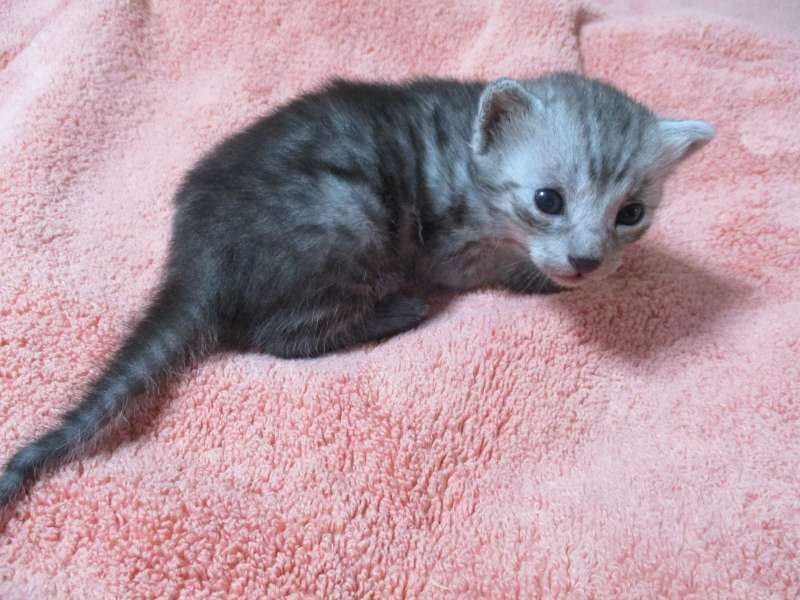 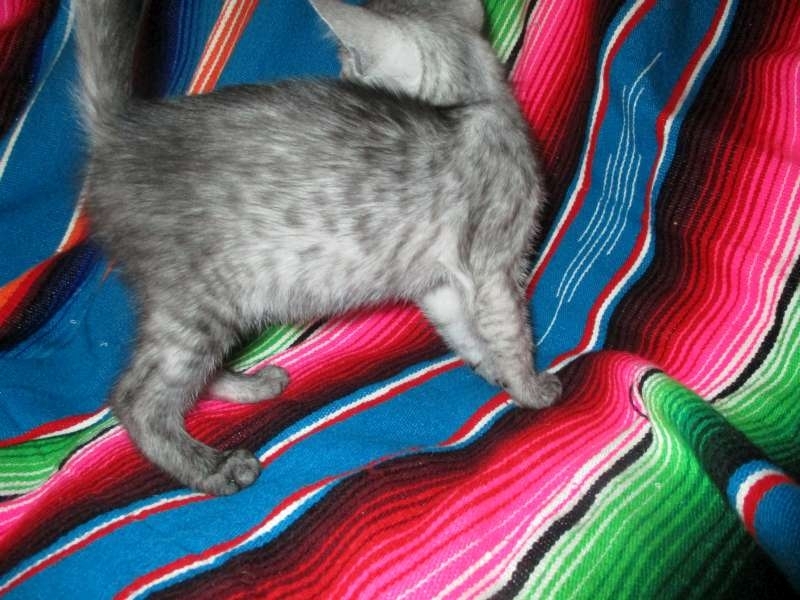 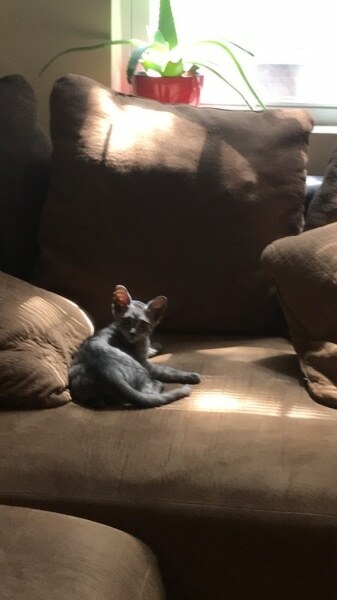 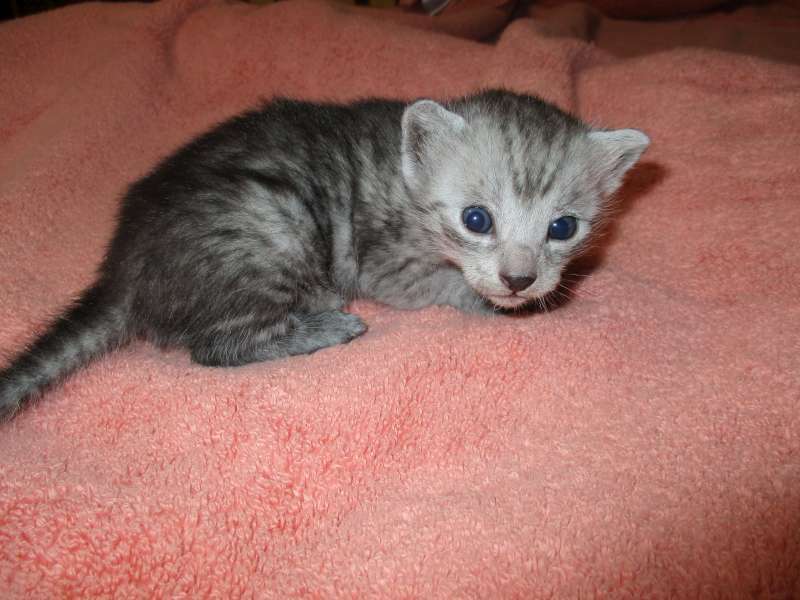 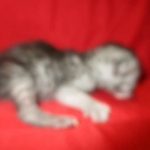 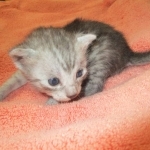 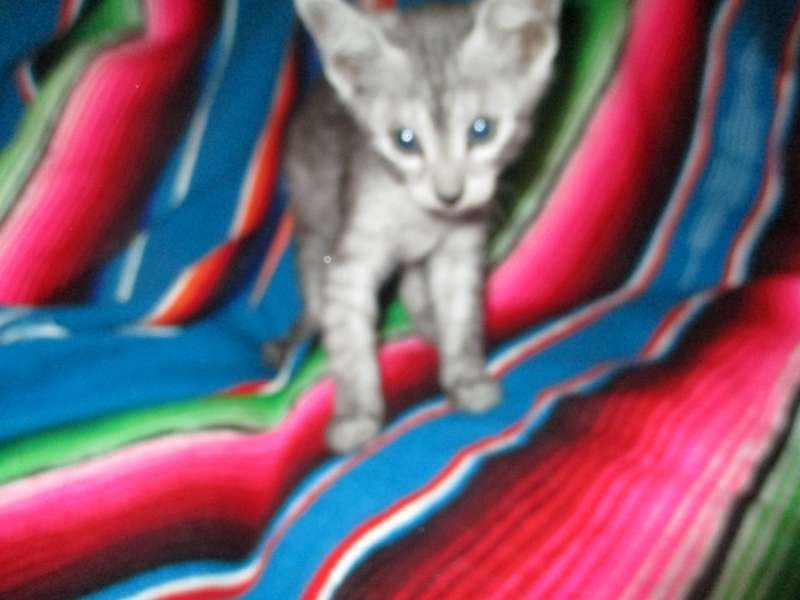 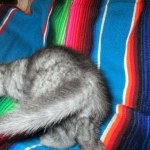 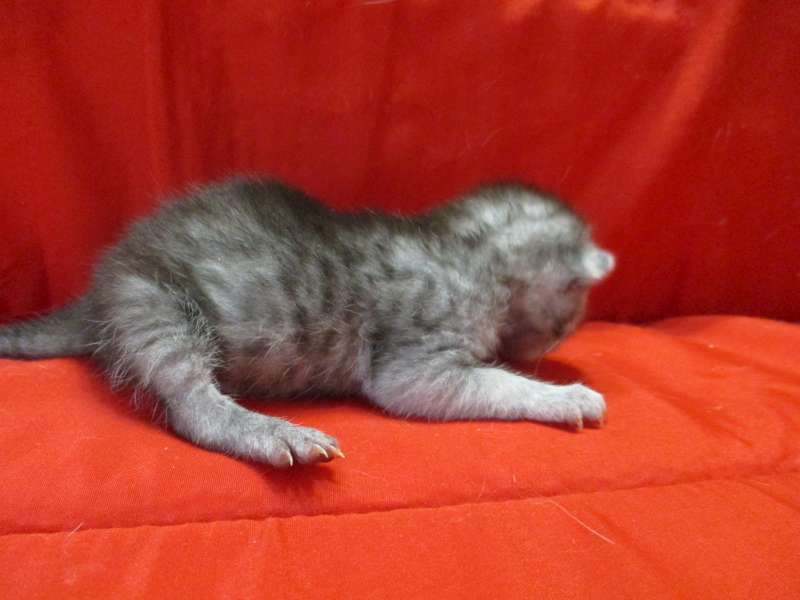 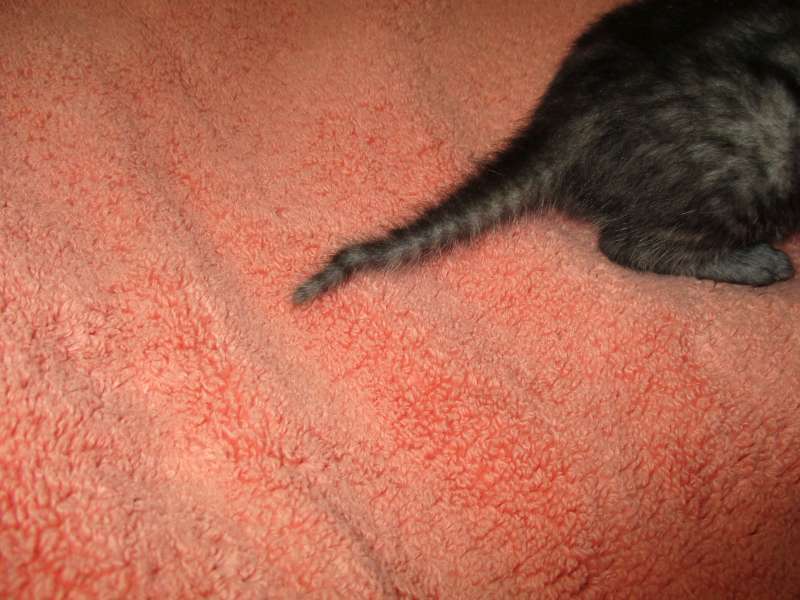 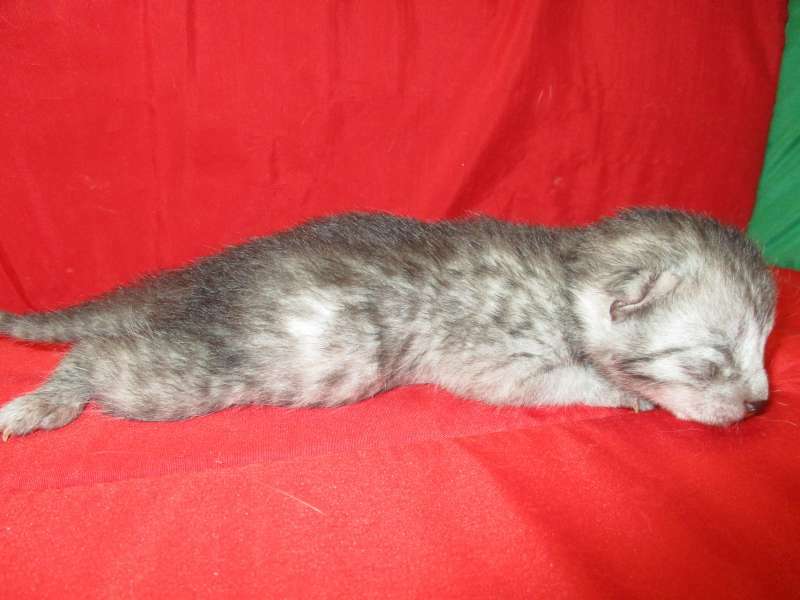 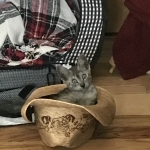 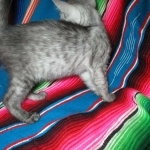 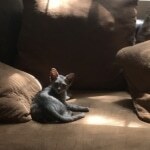 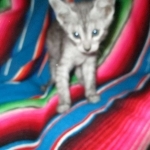 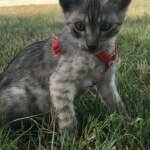 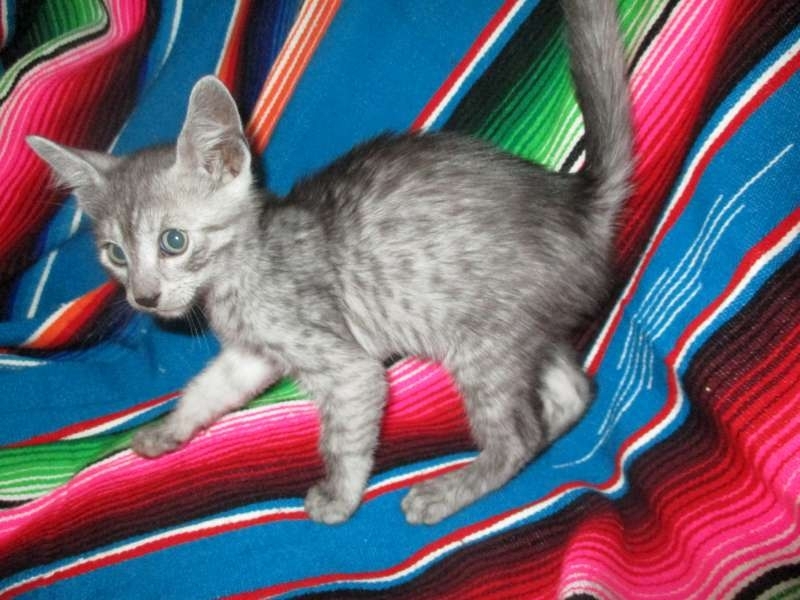 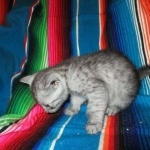 This fabulously marked pale smoke Mau boy is absolutely beautiful. 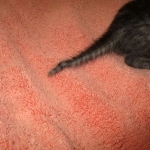 Were it not for a slight bend in his tail he would surely be show quality. 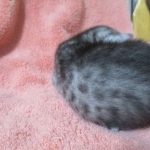 He has gone home to Tanisha.